What is the iPAC Survey Tool? The Survey Tool is an interactive element of the Mobile Learning Toolkit that enables you and your students to evaluate a mobile learning activity you have recently undertaken. It does this by posing a series of statements which you are invited to agree or disagree with. 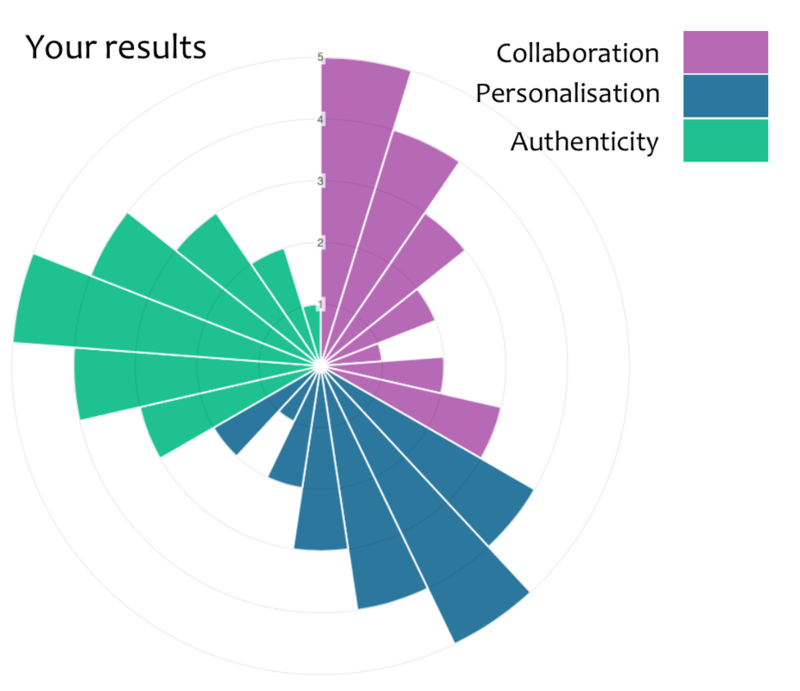 Based on these answers the survey tool generates a customised visual representation of your results in the form of a polar chart, like the ones above. Each segment of the chart represents one of the sub constructs and you instantly be able to see those which you scored strongly and those which were weaker. This will give you an immediate understanding of how you are using mobile technologies in your teaching and help you to think about those areas of your practice that might benefit from more professional development. The survey tool will summarise your results in a written format and will guide you towards additional resources to help you consider other ways in which to use mobile technologies. This includes a selection of video case studies produced by practitioners, and a series of interactive eBooks. There are many different ways you might use the iPAC Survey tool but we suggest you start with the following activity. Identify a recent teaching and learning activity in which your students used a mobile device as part of the learning experience (e.g. using an iPad to study Google Earth in a geography lesson). Alternatively, this might be an activity you are about to teach. As soon as possible after completing the teaching and learning activity, complete the Teacher Version of the iPAC survey (see button opposite). If you wish to compare your perceptions of this activity with your students, ensure you save the unique ID code that will be generated when you start the survey and let your students have this when they start the survey. 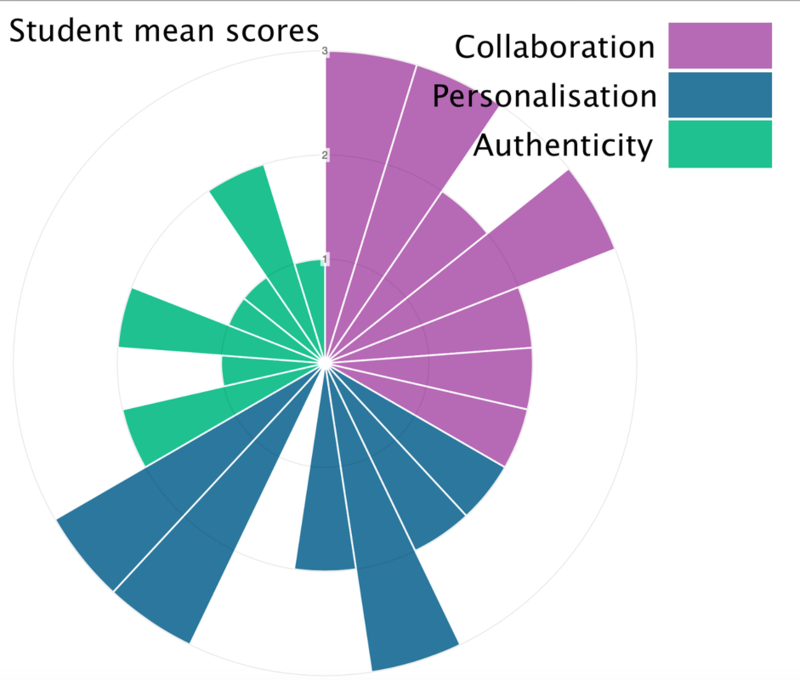 If your students undertake the survey, based on the same learning activity, you will be able to see how their results compare with your own, after they have undertaken it. ​All of this is explained in more detail in the video tutorial below. Please feel free to complete the short form below to provide us with further information to improve or modify the above surveys.